Like other rural states, South Dakota is home to a very small but growing number of paralegals and legal assistants. According to the Bureau of Labor Statistics there are currently about 500 working paralegals in the state. Thanks to the industry’s trend toward hiring more paralegals to complete tasks traditionally carried out by lawyers, paralegal jobs are expected to increase nationwide by about 28% in the next six years. The current mean salary for a paralegal working in South Dakota is about $38,980, with a mean hourly wage of $18.65. Most legal assistants in this state are employed by private attorney offices, though banks, courts and large corporations provide employment to paralegals as well. The state of South Dakota defines paralegals as a distinct professional group that performs legal duties under the supervision of a licensed lawyer. 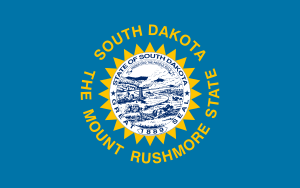 Like in all US states, paralegals in South Dakota are prohibited from providing legal advice, representing clients in court or performing other legal services without their supervising attorney, who is responsible for all professional actions taken by them. South Dakota does not provide any oversight or regulation of paraprofessionals, and paralegals are therefore not required to carry a license or earn a degree to work. Paralegal professionals who do carry a certificate or degree, however, are often given preference during the hiring process, and have more employment opportunities available to them. Some law firms and companies may offer support to employees seeking to earn a formal paralegal certification, and for some professionals already working in the industry, this may be the easiest route to attaining a certificate. Paralegals in the US become officially certified after they pass one of four national approved certification exams. This distinction of “certified paralegal” will open up many employment opportunities. Joining an official paralegal organization, such as the South Dakota Paralegal Association, will also open up many exclusive job opportunities, as well as provide members with support, advice and valuable networking with other professionals. The American Bar Association (ABA) is the official provider for regulating and endorsing law education programs and institutions. While an ABA endorsement is not necessary for a quality program, the vast majority of institutions seek to acquire the endorsement, which proves the program provides a credible and effective education. Many employers, therefore, require applicants to hold a certificate or degree from an ABA-endorsed program. Unlike the ABA, the US Department of Education doesn’t endorse a specific program, but instead provides accreditation status to worthy institutions. An accredited university or college is a school that has shown itself to be legitimate, with ethical academic standards and qualified faculty. With the new prevalence of bogus online “programs” appearing online, many employers require paralegal applicants to have a certificate or degree acquired from an accredited institution. Other employers may have different education requirements, or may even have no requirements for applicants, but for the broadest range of job opportunities, an aspiring paralegal should try to attend a school that is both accredited by the Department of Education and endorsed by the ABA. National American University is a private 4-year university with campuses located nationwide, including two in South Dakota. Both the Sioux Falls and Rapid City campuses offer Associate of Applied Science and Bachelor’s degrees through their Paralegal Studies program. Western Dakota Technical Institute is a public 4-year university located in Rapid City. It offers an Associate degree through its Paralegal Studies program, which takes 4 semesters to complete. Internships are mandatory.